Fat injection: For the purpose of beauty enhancement, an individual’s own fat cells are used. It is a safe option required to fill the defects. Permanent results are noticed. Special technique is used to harvest fat by liposuction. This fat is properly processed to remove tissue debris and to increase the viability these are injected as beads in layers. As a result, chances of allergic reaction and tissue rejection are avoided. This is best suited for hollow under eyes, sunken cheeks, and deep lines. Tissue grafts: Some viable permanent fillers are fascia, dermafat, muscle, and dermis. Lip augmentation finds a major use of these fillers. Although, it is not non-surgical but it offers permanent results, which makes it an attractive process. It is possible to harvest grafts from places where incisions can be well hidden. A cosmetic treatment known as filler injection, is used to smoothen the wrinkles or pitted scars on the face or any other part of the skin. They are also helpful in making the lips look fuller. Over time, it usually goes away. For aesthetic purposes, filler injections are used as a cosmetic treatment. Various smaller areas of the body especially the face, are injected with chemicals for boosting. Injection fillers primarily aim to improve the skin texture appearance. Facial fillers restores facial skin by elimination or reduction of wrinkles, enhancing lips, raising of scar depressions and replacing soft-tissue volume loss by facial injections. It is useful in providing a more sensuous and fuller look to the lips. In some cases, fillers alone are not sufficient to reduce severe surface wrinkles on the face, such as multiple vertical lipstick lines that occur near to the mouth. Filler injections are mainly of two types, one is permanent or semi-permanent and the second is temporary. Permanent or semi-permanent type of filler injections include Sculptra and Radiesse. Collagen and hyaluronic acid are two categories of temporary injectable fillers. Semi-permanent or permanent injectable fillers are regarded to be long lasting when compared with temporary collagen or hyaluronic acid fillers. However, due to unknown side-effects and risks, permanent injectable fillers are usually avoided by most health care providers. In early times, collagen was considered to be the only product for lip enhancement, but nowadays, many stable, long-lasting and bodily neutral products are available. A smoother and plumper appearance is provided to the skin by collagen and other injectable wrinkle fillers. Skin’s natural collagen is replenished by collagen injections. It supplements collagen and helps in smoothing some scars and facial lines. As the contour is restored, the natural beauty of the skin enhances. A combination of acrylic hydrogel and hyaluronic acid is referred to as DermaLive/DermaDeep. 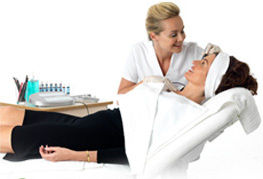 DermaLive deals with smoothening of deep wrinkles and lip augmentation. For cheek and chin augmentation and on nasolabial folds, DermaDeep is regarded as an effective alternative. Dermal fillers are sometimes also known as liquid face lifts because they offer a wide range of surgical face lift benefits without the downtime excess sagging skin. These soft tissue fillers are helpful in adding to the volume and providing immediate cost-effective results. As these treatment procedures are not permanent, so they must be continuously repeated and maintained. Skin rejuvenation treatments such as injections of botulinum toxin, are sometimes, done in association with some facial fillers. There exist different types of facial injections. Each of them is specially designed for one or several purposes such as lip augmentation and wrinkle reduction. A qualified doctor is capable of choosing an optimal facial filler for providing rejuvenating results. The goal of a non-surgical Liquid Face Lift changes with different patients. In some individuals, it is used to lift the entire face, while in others to contour or lift specific facial features. Facial features can be lifted and contoured using Restylane injections. In liquid face lift, large quantity of fillers are placed into the face. Without exact anatomical re-positioning of aging tissues, the effects of aging are camouflaged through liquid face lifts. Although temporary results are obtained, but they are fine methods for accomplishing minimally down time and rapid corrections at relatively low risk. Dermal fillers are widely used for enhancing lips. This type of cosmetic procedures basically requires more artistry than science. With dermal fillers, lip enhancement uses the same products and tools as with wrinkle treatment. The areas in and around the lips are strategically injected with a bio-compatible substance like hyaluronic acid-based dermal fillers. Lip enhancement procedure avoids lipstick bleeding; offers more defined smile; enhances pout; and gives a younger appearance. Typically, lip enhancement falls into two divisions: Surgical implants and non-surgical lip injections. A subtly more defined lip is provided by the implants. Lip injections add volume to the lips. Restylane lip fillers or Juvederm helps to achieve lip enhancement and lip augmentation. Lip plumping is offered by lip collagen through lip injections. These injections normally lasts for a duration between 4 months and a year. There is a great variation in the cost of lip enhancement. A lip implant can be used to achieve a permanent lip augmentation. A non-animal, clear gel called Restylane, is closely related to the hyaluronic acid found to occur naturally in the body. Although Juvederm links chemically close to Restylane but surgeons report the former to be slightly smoother and comfortable to inject. Some common and minor side effects include: Swelling, redness, and itching at the injection sites and bruising. When the procedure is performed by a non-skilled technician, there exist a risk of getting an uneven result, hard lumps, or disproportionate lips. Microsphere technology forms the basis of a newer class of fillers. Tiny round particles of solid material which are of uniform size are known as microspheres. These products are found to be a great use for deep facial wrinkles and volume replacement. However, they are not allowed to be used in the lips. Possible complications include: bruising or bleeding, infection, allergic reaction, such as hives, swelling, rash. Or flu-like symptoms.